Our Bernese Mountain Dog mums give birth at home, and for this purpose we have built lovely maternities. Thus, from an early age the Bernese Mountain puppies are brought into contact with the family. They know, among other things, how is the sound of the vacuum cleaner and listening to music. 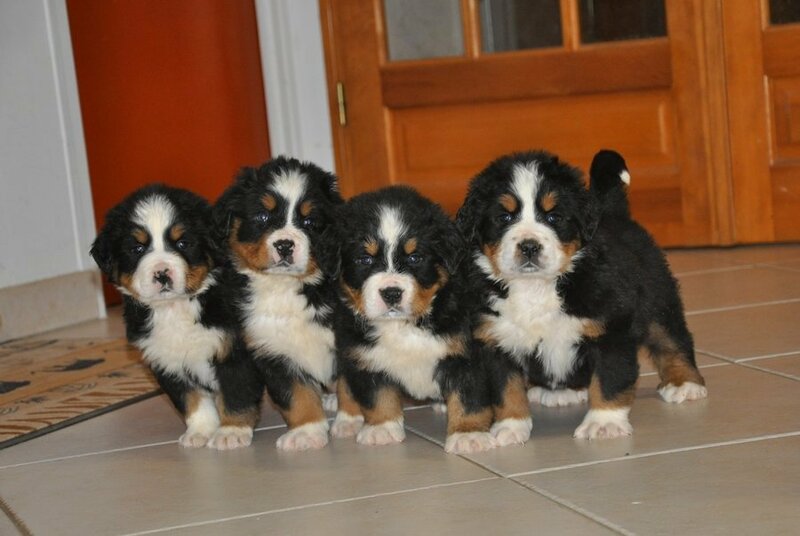 Do not hesitate to come visit us (under appointment) if you are considering purchasing a Bernese Mountain puppy. 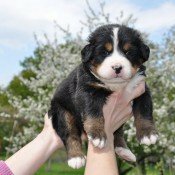 We have Bernese Mountain puppies regularly. To receive further information about the available puppies or to reserve one of them, you can contact us by calling at 00.33. (0)2.38.35.99.17 or through our contact form. 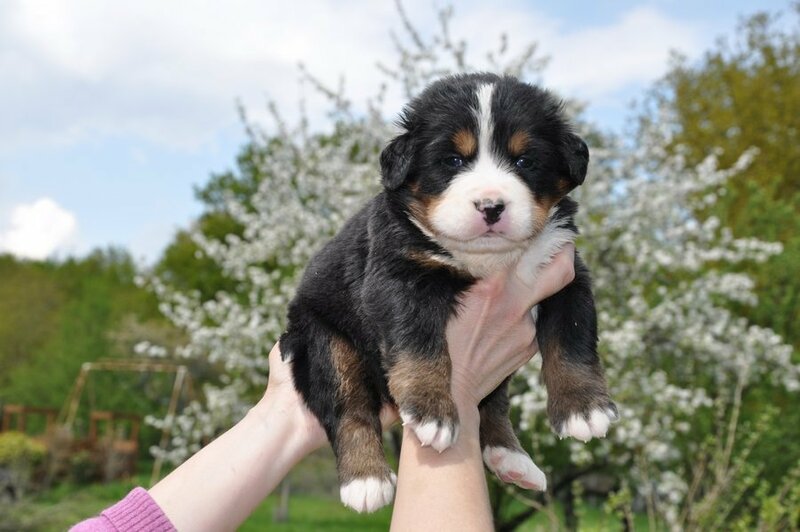 We work under reservation; you can contact us through our contact form or by phone at (00.33) (0)2.38.35.99.17 to know about the latest births and reserve your future Bernese Mountain puppy. 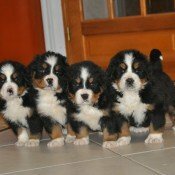 Do not hesitate to reserve now your Bernese Mountain puppy.